If you are looking for a comprehensive upholstery service, from repairs and restorations to home furnishing solutions, contact Innhome Upholstery of Liverpool today. We offer a wide range of quality refurbishment options to both domestic and commercial customers, with very competitive prices and a commitment to quality. No job is too small for us, as we will reupholster domestic and commercial furniture from a three-piece suite to a single cushion. We have a large number of fabric samples for you to choose from, and we can also source bespoke materials to match your requirements or colour scheme. Get in touch with us today for a professional and friendly service. Since 1993 Innhome Upholstery has been offering a skilled service to homeowners and businesses. 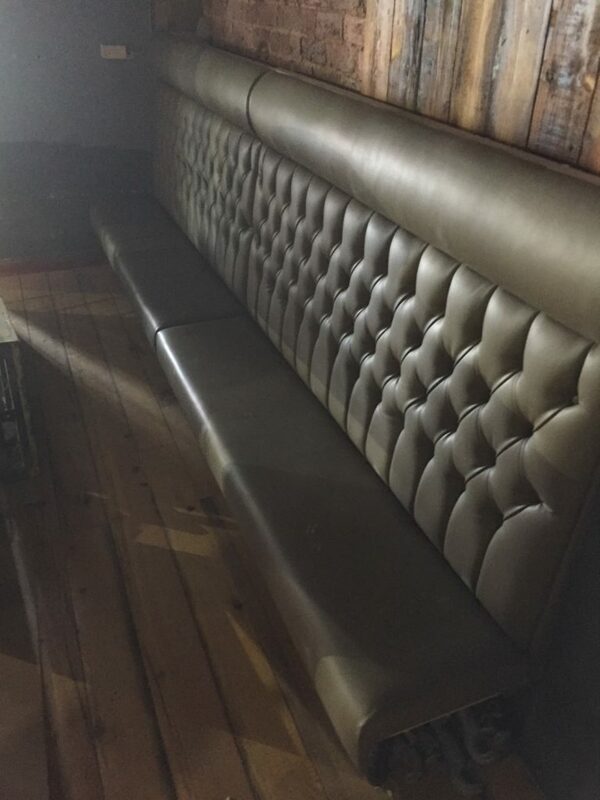 We specialise in providing upholstery services to bars and restaurants for a refurbishment project or new opening, and we also offer our first class service to hotels and guest houses. Contact us today for full details of our services and to request a FREE no-obligation estimate for your projects. "Excellent service my sofas look amazing in crushed velvet there like brand new, I've used Dave on a good few occasions he never fails to deliver, best prices in Merseyside as well, I highly recomend if you need any upholstery doing, thankyou for all your hard work.😀"
"What a pleasure it is to deal with this company. Not only is their work outstandingly good, but their customer service is one of the best I have experienced. My two 20-year old sofa beds have been rejuvenated beyond expectation--and for a really good price. Dave is as good as his word. Bang on with the dates they would be ready; delivery....everything. If you've got furniture you love but it's looking a bit tired then do yourself a favour and get it reupholstered at Innhome."